The stunning Lake District provides the perfect holiday for all the family. Follow in the footsteps of Beatrix Potter on the National Trust country walk at Hill Top; discover her original illustrations at the Beatrix Potter Gallery and see the books and characters brought to life at the fantastic World of Beatrix Potter Attraction. The Lake District is easily accessible and can be reached by major roads, motorways and rail. For full Lake District travel and accommodation information please visit Go Lakes. 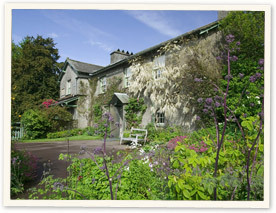 Beatrix Potter bought Hill Top in 1905, having fallen in love with the Lake District and the surrounding area. Over the next few years she spent as much time as possible at Hill Top, gaining inspiration for her stories from the farmhouse and the local villages. It became the stage for some of her Original Tales, such as The Tale of Samuel Whiskers (1908), for which she used exterior and interior views of Hill Top in her illustrations. Tom Kitten had earlier appeared in his own story The Tale of Tom Kitten (1907), playing in the garden with his sisters and thoroughly ruining his smart appearance. All of these scenes, and more can still be recognised today. Beatrix Potter actively supported the National Trust for much of her life and bequeathed Hill Top and her surrounding land to The Trust upon her death. In 1946 The Trust opened Hill Top to the public, and since then this beautiful farmhouse has become increasingly popular with visitors from the world over, and by now almost three million pairs of feet have walked through the six rooms. This award-winning attraction brings the Beatrix Potter classic Tales vividly to life. Visitors take a walk through an indoor recreation of the Lakeland countryside, visiting Peter Rabbit and all his friends on the way. A special film about Beatrix Potter’s life and a video wall introducing all the classic Tales complete the visit. The Attraction includes a Beatrix Potter shop and Tailor of Gloucester Tea Room, which combine to create a wonderful family experience. 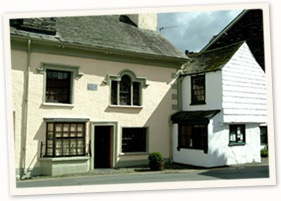 The Beatrix Potter Gallery, Hawkshead. Part of William Heelis’s offices has been recreated with some of the original furniture and furnishings. The clerk’s desk used by generations of aspiring young men can be seen in an upstairs room while downstairs in their original office it is still possible to read the messages they left on the inside of the cupboard door. 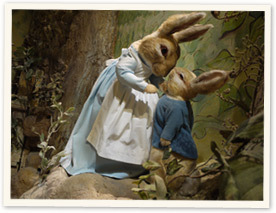 Today The National Trust operates The Beatrix Potter Gallery.